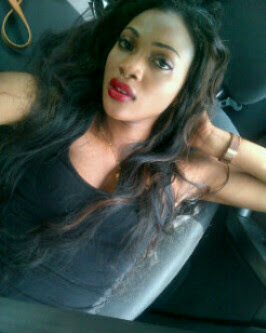 The Lagos State Police Command has arrested two more suspects for the alleged murder of Cynthia Osokogu. It was learnt that they were arrested by policemen attached to Area E Command, FESTAC, on Monday. Osokogu was drugged and killed on July 22, 2012 at Cosmilla Hotel, FESTAC after being lured to Lagos for the purpose of business. Four suspects – Okwumo Nwabufo and Ezike Olisaeloka, Orji Osita and Maduakor Chukwunonso – had been charged to court for the murder. It was learnt that one of the newly arrested suspects, Nonso Ezeike, is the younger brother of Olisaeloka. The other suspect arrested was the driver who allegedly aided the prime suspects to escape from the hotel. to trail Nonso because he had sold Osokogu’s phone to someone for N68, 000. The police were said to have obtained Osokogu’s BlackBerry Personal Identification Number and convinced the buyer to disclose the identity of the seller (Nonso). A senior police officer, who craved anonymity because he was not authorised to speak with the press, said, “We were having problems on how to get Osokogu’s phone so we met her father who gave us her BlackBerry PIN. After that, we started chatting with the person on BB Messenger and he told us he bought it from someone. “We told him that we needed the phone and we pledged to pay him back the money but he said the phone was giving him problems and he intended to send it back to the person who sold it to him. “We traced the mast and discovered he was chatting from Port Harcourt. He said he bought the phone from Lagos. Few days later, he called to say he had returned the phone to the seller (Nonso). We urged him to ask Nonso to return the said phone to our office in Area E Command, Festac. “Nonso eventually came to our office with a lawyer to drop the phone and I asked my men to arrest him immediately. Meanwhile, while the accused persons had been remanded in prison till October 3, the adjourned date, the incarceration of Orji and Maduakor, who were pharmacists that sold the drug used to weaken Osokogu, has continued to attract public fury. Our correspondent, who visited the Ikoyi prison where the four are being incarcerated on Tuesday, observed that they were accomodated at Block E2. However, the Pharmaceutical Society of Nigeria said the sale of the drug by the pharmacists was not criminal. It was also learnt that counsels to the pharmacists were working to secure their release before the advice of the Director of Public Prosecutions. A family source said, “Our lawyers have said they will institute a suit for the enforcement of their fundamental human rights at a high court” he said. However, a senior police officer who craved anonymity said the pharmacists had a case to answer because they might have been aware of the purpose the drug was going to be used for. I hope these whole story will lead to a conviction because we all know things with the Nigeria police. Thanks for sharing your thoughts on skin care tips.